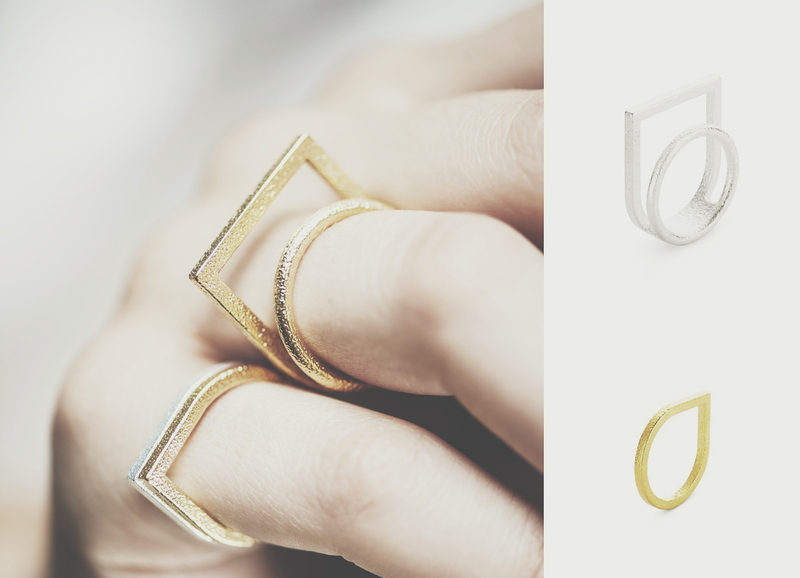 People are still astonished when they hear that our metal jewelry is also 3d printed. Just like the polyamide nylon material, the steel jewelry is printed from powder. There are various methods of metal printing available. When we first introduced steel jewelry in 2014 we were using the ‘binder jetting’ technology. With this method, the printer deposits small drops of glue between each layer of steel powder. After the print is complete, it goes through an infusion process that replaces the glue with bronze, creating a solid metal piece. In 2016 we switched to a more sophisticated way of metal printing called ‘laser metal fusion’ (or LMF) 3d printing. This metal printing technique builds objects layer by layer by fusing powered steel together. For each piece, regardless big or small, supports need to be printed as well so that the objects don’t collapse during the build process. Each of these supports has to be manually removed from the jewelry. After that, the rough ends smoothened out bit by bit with specialized equipment and finally the jewelry is tumbled for 20 hours in order to obtain a perfectly smooth surface. Now the jewelry is ready for plating… First, every piece is given a base layer and after that all jewelry is silver-plated. The gold layer goes on top of the silver. The silver pieces also receive a ‘nano protection’ layer to avoid oxidation.